The Schwinn 430 elliptical comes in as a very popular entry-level option for buyers who are looking for a budget-friendly and user-friendly elliptical machine. 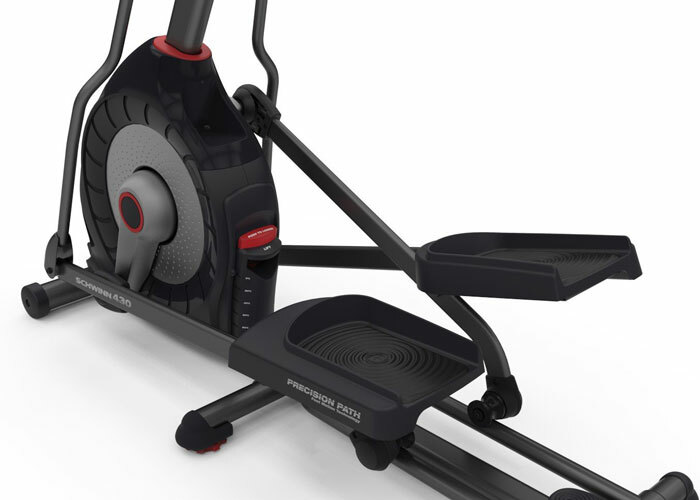 Stay with us throughout this review to read more on this elliptical machine by Schwinn. Users can track their exercises from one workout to the next, use pre-programmed workout routines, check out their heart rate on the monitoring screen, and even transfer workout data to MyFitnessPal through Schwinn Connect. The machine comes in at a height of 63.2 inches, a width of 28.2 inches, a length of 70.1 inches, and a weight of 168.7 pounds. It also ships with a six position incline and twenty different resistant settings. It comes with a ten-year frame warranty, a one-year electrical warranty, and a two-year mechanical warranty. The main features of the Schwinn 430 include time, distance and calorie tracking, a six position incline, a three-speed fan, water bottle holder, mobile device ledge, pulse sensors, transport wheels, thirteen display functions, twenty resistance settings, twenty-two programs, and a three hundred weight capacity. In terms of quality and durability, the front-drive feels incredibly stable as you step up on it. But due to the bike having a front flywheel, users tend to develop the bad habit of leaning forward during their workout, this is a huge no with a front flywheel as it can cause there to be too much weight on the front axle. The Schwinn 430 helps offset this by providing you with six slope settings, however, most of the time you will just need to keep your posture straight. Other than this small caveat, the oversized crossbar tubing, and center frame support ensure that the elliptical stays sturdy throughout your entire workout. The Schwinn 430 comes with a dual display, which allows you to visualize more data during your workout. Although this can be a bit confusing when setting up your workout profiles as it allows you to set up two separate user profiles. 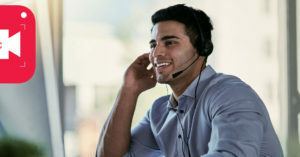 However, the computer is extremely responsive when flipping through the nine workout programs and allows you to quickly adjust through the twenty-two levels of resistance. The Schwinn 430 advertises that there are twenty-two preset programs, but keep in mind that eight of these will be heart rate controls. 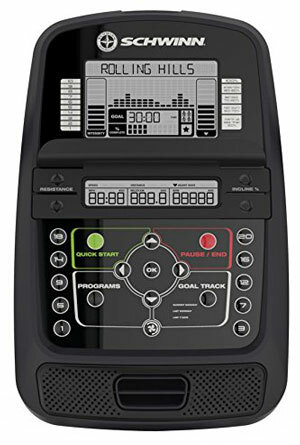 Other features of the computer include quick start capability, LCD display screens, nine profile programs that include three fun rides, three mountain rides, one interval ride, and two challenges, as well as two fitness testing programs. Work out data that you can see include calories, time, revolutions per minute, distance, speed, pulse, time, resistance level, course profile, heart rate, percentage complete, intensity meter and goal achievement. 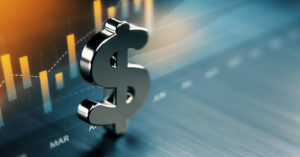 Since this model isn’t as high-end as others in the market, there are a few drawbacks to it. The first one is that the incline capabilities are not automatic. This means that if you want to target different muscle groups during your workout, you will have to completely stop, readjust, and start back up. In addition to this, the incline only goes up to a maximum of ten degrees, which only serves as a “good” workout rather than an excellent one. The heart rate monitor uses pulse sensors in the handlebars to track your heart rate. Although this is really neat, it does not come with wireless capabilities and it does not have accessibility for a chest wrap. This means that if you want to use the different heart rate programs, you won’t be able to track a continuous heart rate throughout the entirety of the workout, making readings erratic. The noise levels can get pretty bad if you don’t oil the machine or if you don’t tighten up the bolts enough. Otherwise, the elliptical is quite quiet, comfortable, and smooth due to the weighted flywheel. Overall, the negatives of the model are few and far in-between in comparison to the positive features that you get for such a great price. 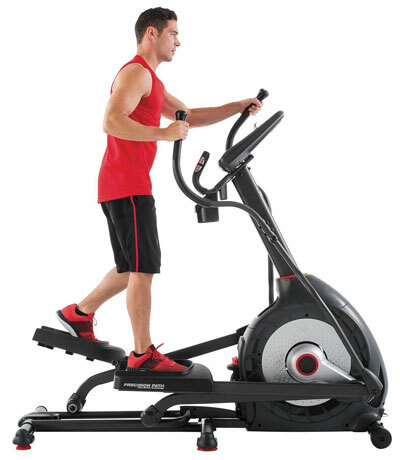 It is important to note that individuals who are planning on working out vigorously may not want to buy this model as improper posture causes the elliptical to break down faster. Nevertheless, it is a great buy for those who are new to the market and want a solid and sturdy entry-level elliptical machine. Users could go to https://www.amazon.com/Schwinn-430-Elliptical-Machine/dp/B0764WKFZV in order to buy Schwinn 430 Elliptical machine, as well as more reviews from real buyers.